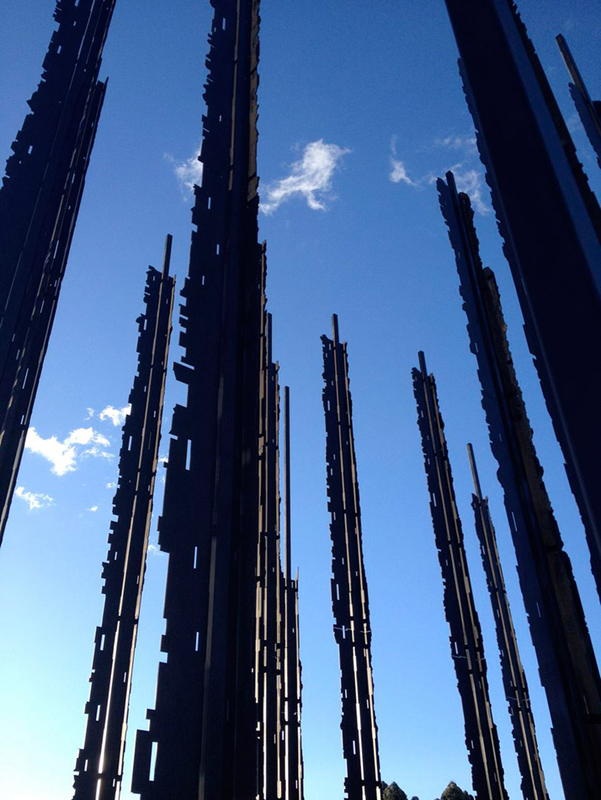 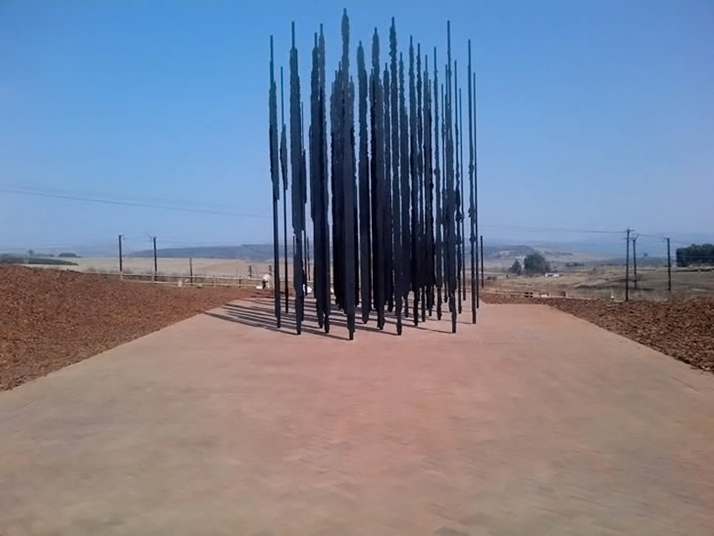 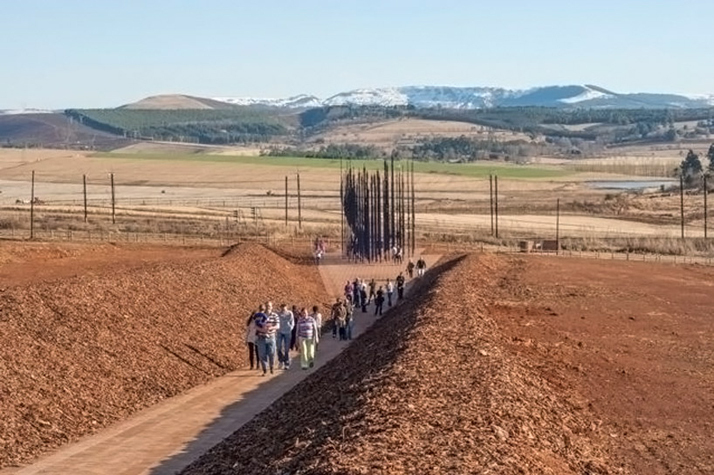 A national monument by Marco Cianfanelli marks Nelson Mandela’s capture site in natal midlands. 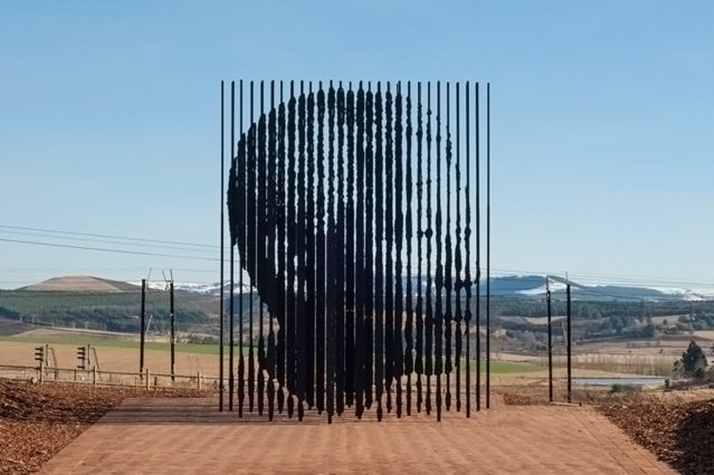 South African artist Marco Cianfanelli has constructed a monument to recognize the 50 year anniversary of peace activist and politician Nelson Mandela's capture by the apartheid police in 1962. 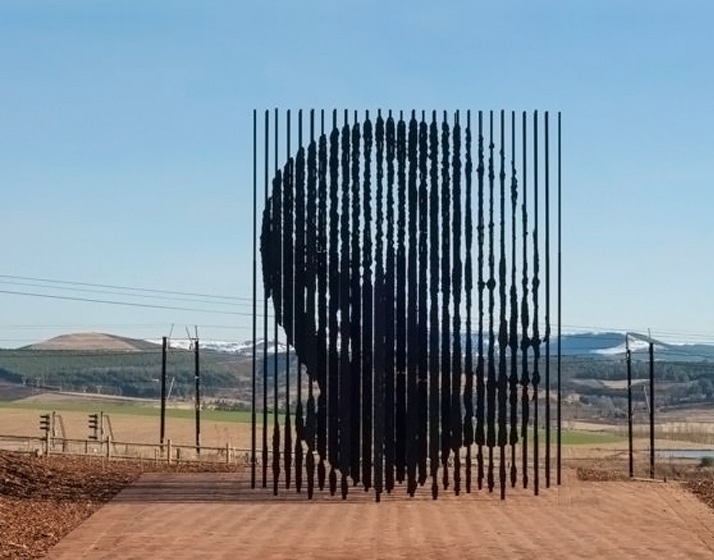 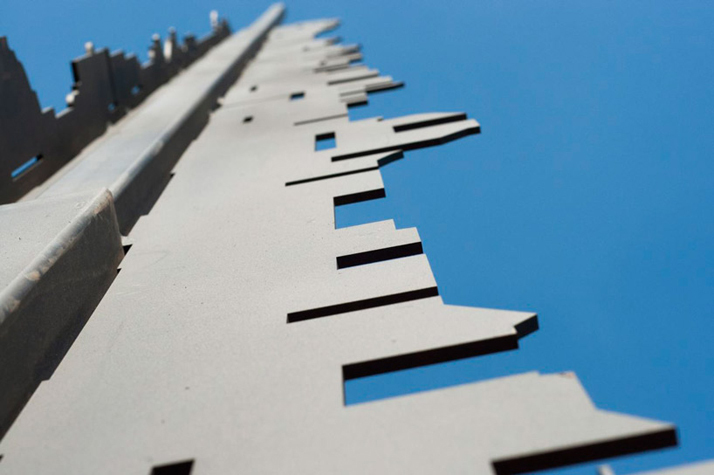 Mandela's profile spans 50 steel columns measuring 21.32 and 29.52 feet (6.5 and 9 meters) high, each anchored to the concrete-covered ground. 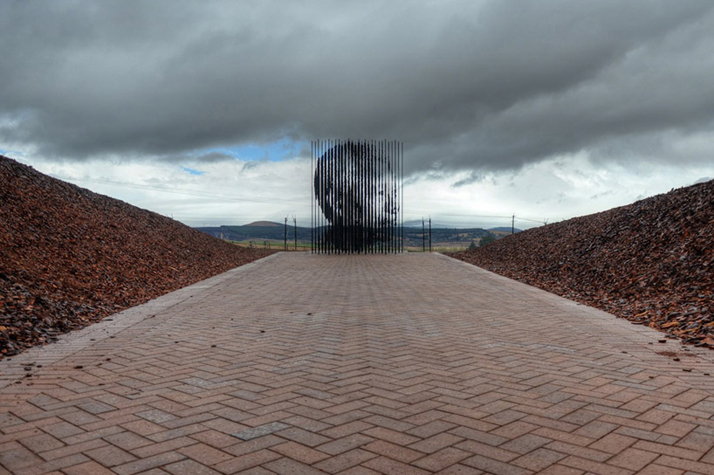 the shape and form of the sculpture are representative of the leader's 27 years behind bars for his efforts to bring equal rights and governmental representation to the once racially divided nation. 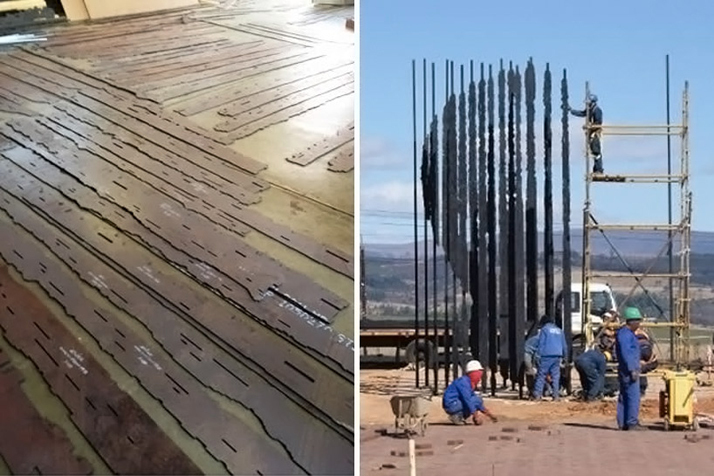 the statue of the nobel prize winner has been erected in howick, a town located 56 miles (90 kilometers) south from the city of durban in the countryside of the southernmost african country. 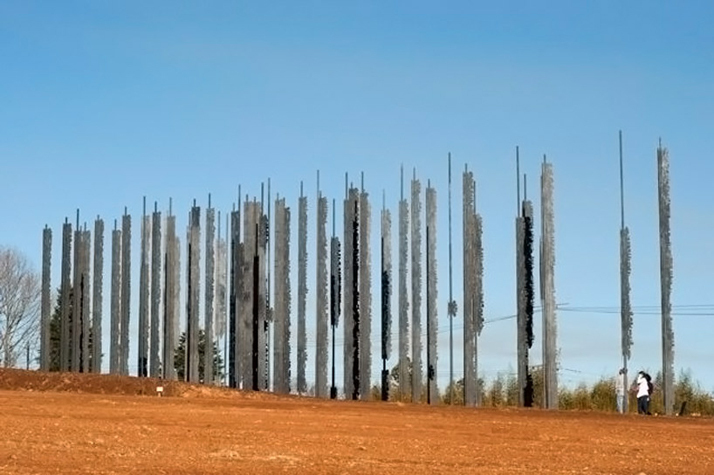 Text and photos via designboom.